Plants are like chimes in the cosmic clock. When leaves sprout on trees, we know it is spring. 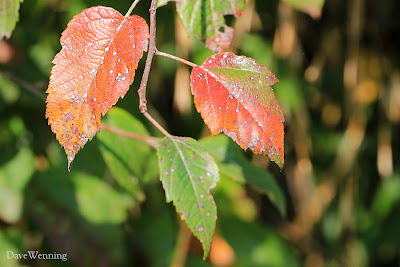 Leaves changing colors and falling to the ground are like bells signaling the arrival of autumn. One of my favorite places to hear these bells is along the Spur Dike at Wiley Slough on Fir Island, Washington. 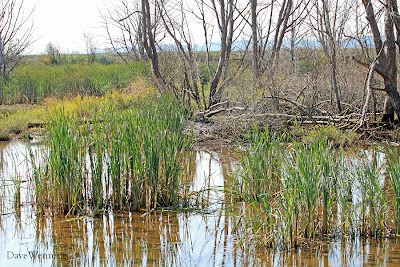 The dike serves as a trail into the wetlands of the Skagit River delta. 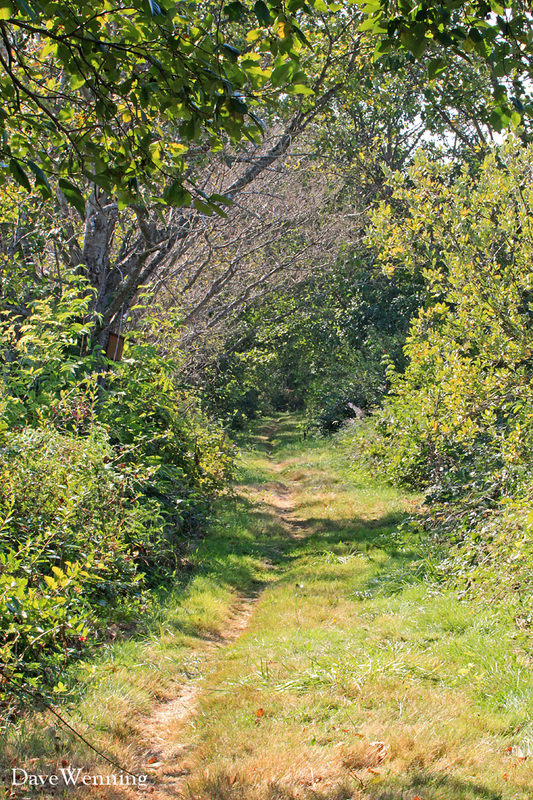 The site is open to the public for seasonal hunting, hiking, birding, dog training and botanizing. The site is managed by the Washington Department of Fish and Wildlife. Visitors should remember to bring their Discover Pass. 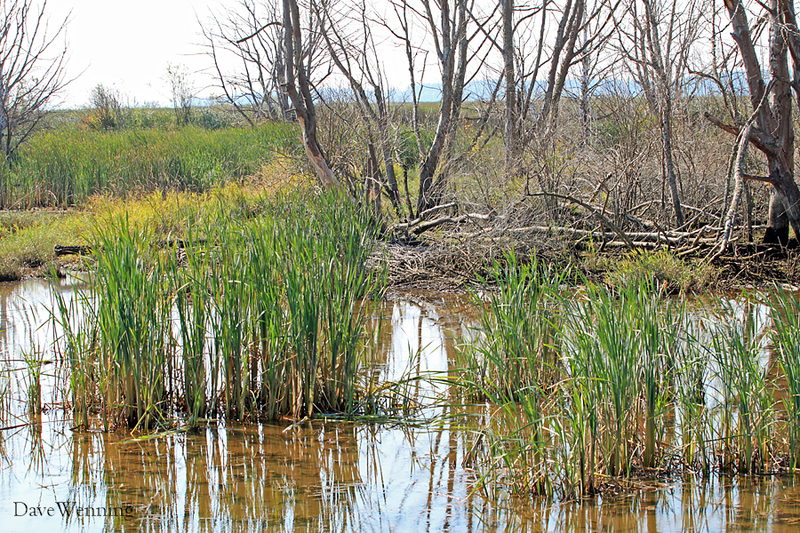 The visitor to these wetlands will find a sumptuous botanical garden. 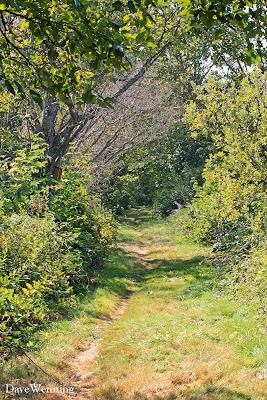 The variety of native plants and trees is without number. The chiming of autumn here is just now beginning and colors are taking on hues of yellow and red. The appearance of fruit is another bell tone in the carillon. 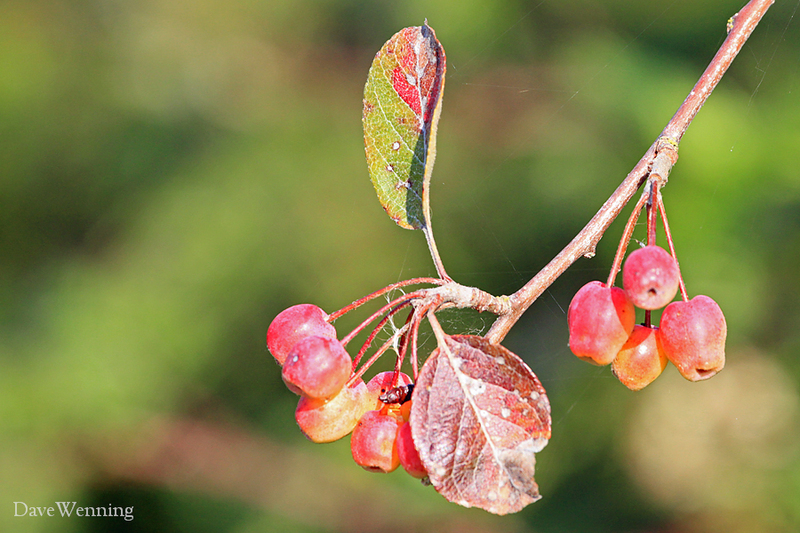 Pacific Crab Apples (Malus fusca) are not yet fully ripe. In another month, dozens of Cedar Waxwings and American Robins will come to feast on the fully ripened fruit. 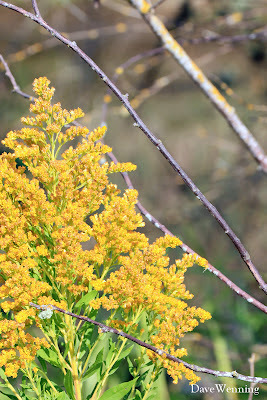 Canada Goldenrod (Solidago canadensis) is reaching the end of its season. The blooms are a bit past their prime now. Solidago means to make whole or cure. Goldenrod has been used as a medicinal at least since the time of the Crusades. The giant flowers of the herculean Cow Parsnip (Heracleum lanatum) have gone to seed, but the heads will be held high through most of the winter. 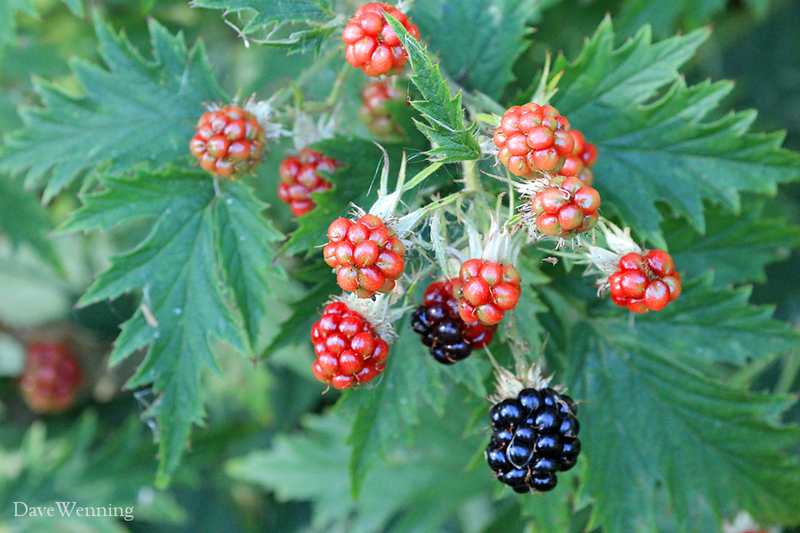 Ripening Cutleaf Blackberries (Rubus laciniatus) add more color to the landscape, and another tone to the bell choir. This is a Eurasian species that has escaped cultivation and become somewhat invasive. 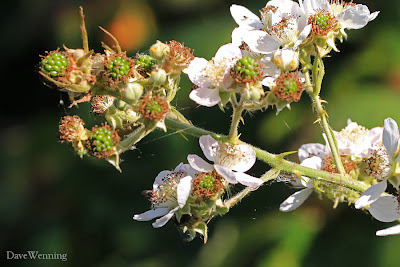 Himalayan Blackberries (Rubus discolor) are not yet ripe. This is another invasive, non-native species that is fast growing and extremely aggressive. Conditions along the dike seem to be keeping it under control for now. 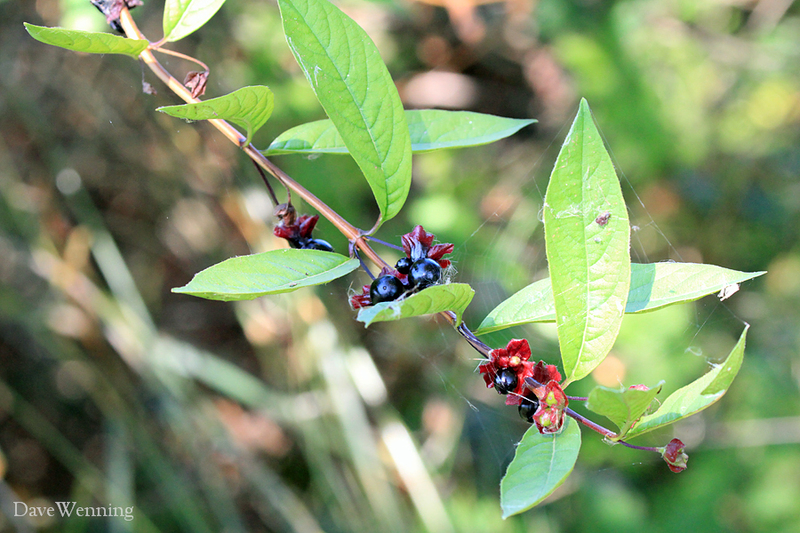 One of our native honeysuckles is Black Twinberry (Lonicera involucrata). 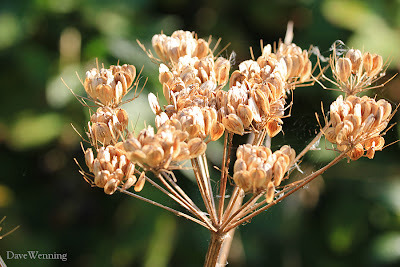 This plant produces another fruit relished by Cedar Waxwings and other birds. 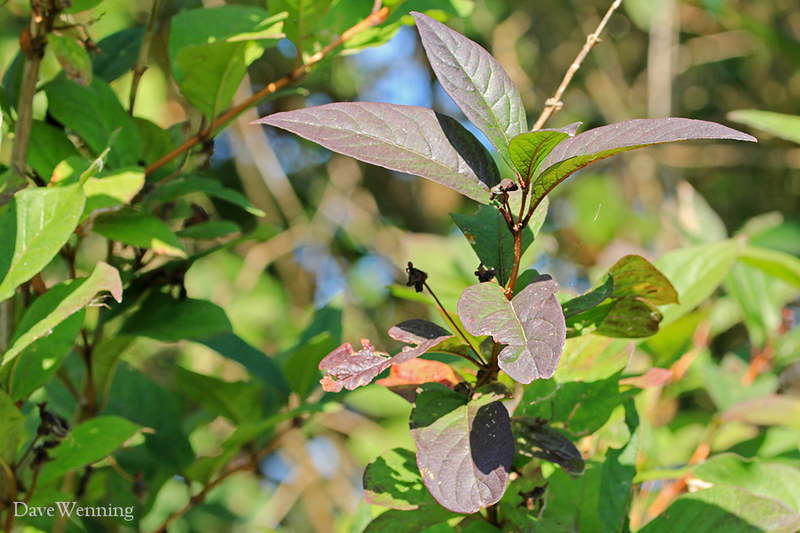 Some of the leaves are just beginning to turn color, in this case, a rich purple. I believe this is Highbush Cranberry (Viburnum edule), but I am not absolutely sure. Anybody? It provides one more tone to the seasonal chiming of the great cosmic clock. 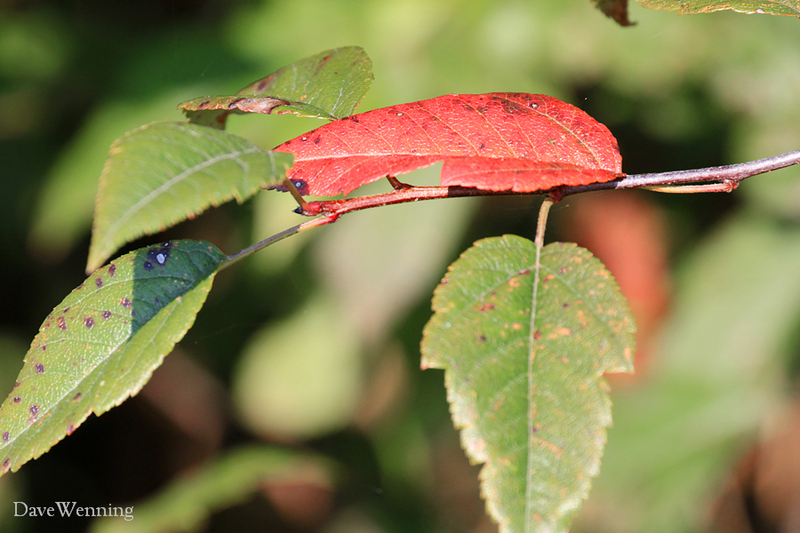 really enjoyed these autumnal chimes!